Professional wrestling legends and Hulk Hogan clients Hulk Hogan and Ric Flair presented “Legends of the Ring” with emcee Jimmy Hart and host Eric Bischoff at Seminole Hard Rock Hotel & Casino in Hollywood, Fla. on Saturday, June 9 at 9 p.m. The show took place in the resort’s new intimate Terrace Ballroom located at Hard Rock Event Center. 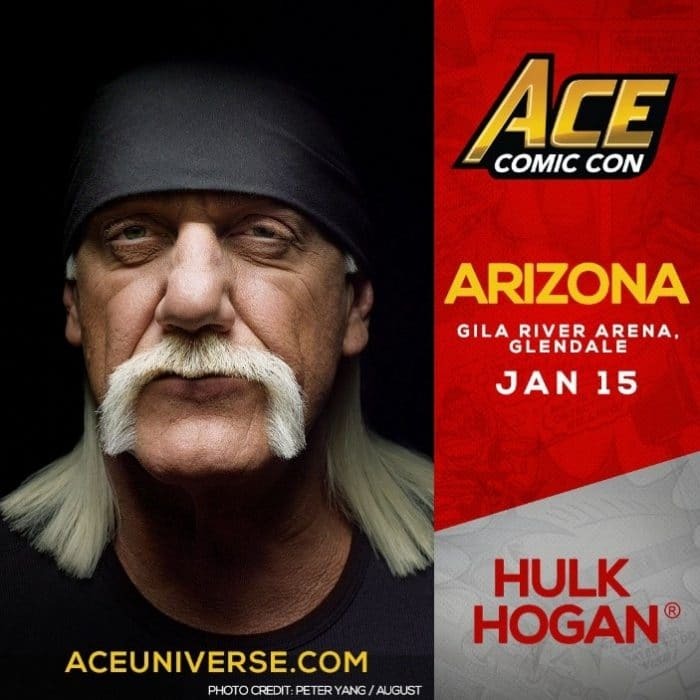 TicMeet and greet packages with both Hogan and Flair were also made available. “Legends of the Ring” explored the highlights of some of professional wrestling’s most celebrated careers. 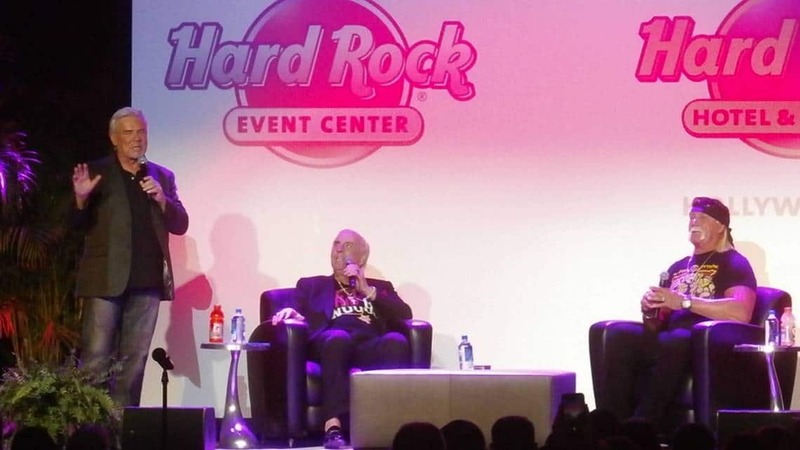 Hosted in an intimate space, this special event granted audience members the rare opportunity to speak directly to Hogan, Flair, Hart and Bischoff in an audience Q&A session. Hulk Hogan, known as “The Immortal,” is a 12-time World Wrestling Champion who was inducted into the WWE Hall of Fame in 2005. Regarded by many as the most recognizable professional wrestler of all time, Hogan enjoyed considerable mainstream popularity between 1984 and 1993 as the face of the World Wrestling Federation, now the World Wrestling Entertainment. Hogan has had an extensive acting career, beginning with “Rocky III” in 1982. He has since starred in several other movies including “No Holds Barred,” “Suburban Commando” and “Mr. Nanny.” Hogan also appeared in three television shows, “Thunder in Paradise,” “China, IL” and the reality show “Hogan Knows Best,” which showcased his family. Featured in an ESPN “30 for 30” documentary in 2017, Ric Flair is considered the best American wrestling performer of the 1980s. Known as the “Nature Boy,” Flair’s career spanned 40 years. 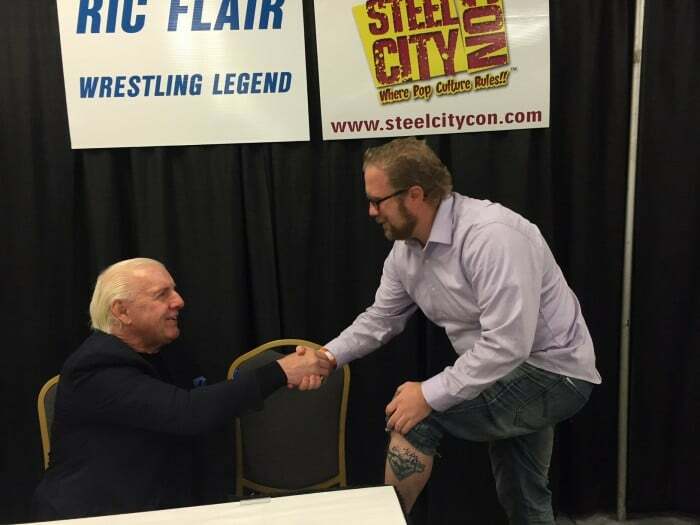 Recognized by his figure-four leg lock and iconic “Woooo,” Flair was a major pay-per-view attraction throughout his career. Flair holds the distinction of being the only two-time WWE Hall of Fame inductee, having been inducted first in 2008 for his individual career and then again in 2012 as a member of the Four Horsemen.